For most new moms, there’s that first moment. You’re cuddling that beautiful new life close in your arms, and you think, "Now I’m going to nourish my child with nature’s most perfect baby food." But for some mothers, breastfeeding can be painful or nearly impossible. There are many reasons why this could be. But in recent years, there’s one particular diagnosis that’s been booming: tongue tie, or an unusually tight cord of tissue connecting the infants tongue and mouth. Ask a lactation consultant for help, they may recommend severing the tissue. It’s a procedure done in minutes with a laser or scissors and without anesthesia. Thousands swear it works. However, there isn’t a large evidence base for the procedure. What are the long term effects? Potential complications? Is it really necessary for thousands of babies? And most important, when parents are at their most vulnerable, how can they make sense of the often contradictory advice? Rachel Morgan Cautero wrote "Why So Many Babies Are Getting Their Tongues Clipped" for The Atlantic. Her son, who will turn 1 on Friday, caused her serious pain when he first started breastfeeding. She felt intense social pressure, however, to keep at it. "I wanted to breastfeed him because you hear from everyone that that's the best best thing for you. If you don't breastfeed your baby, there's definitely a stigma there, so of course I wanted to try," she said. So, to try to solve the issue, Cautero's family, like many others, turned to lactation consultants. "I actually saw two, one at the hospital prior to leaving and being discharged, and one at home," she said. 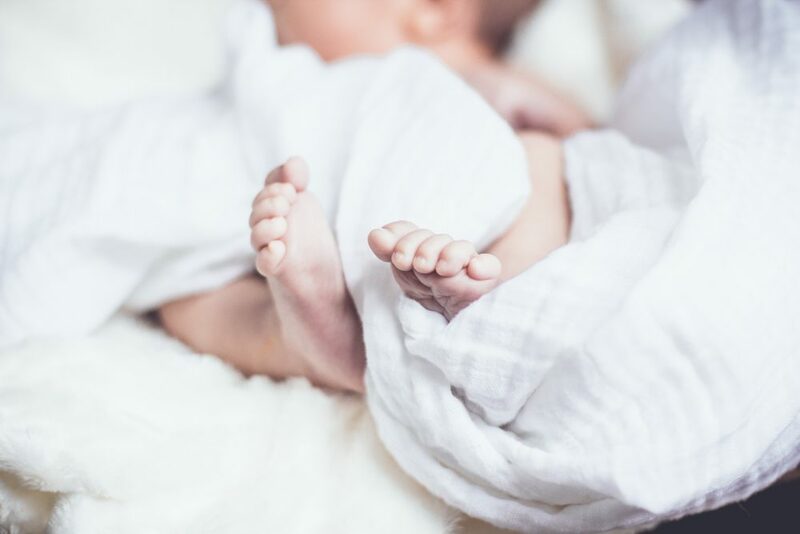 "And the second lactation consultant that came to our home, she was very insistent that there was something wrong with my baby and the way she framed it was, 'Your baby has tongue tie. And here are all the issues that he will likely experience if you do not cut this tissue under his tongue.' "
"It was also being billed as this blanket cure-all for a baby that cries too much, a baby that won't take a bottle, a baby that won't take a pacifier or a baby that maybe isn't gaining weight. ... I think it's kind of being blamed for a lot of issues that it may not cause." On Point host Meghna Chakrabarti had a very similar experience — in part the inspiration for this conversation. Her second child, a son, couldn't latch properly. Although the pain was manageable, he wasn't getting enough food. Again, a lactation consultant got involved to assess potential problems. It turned out — unlike for Cautero's family — this particular consultant did not believe tongue tie or lip tie was the issue. But that's just one consultant. And the uncertainty — as for so many families — did not diminish. "I heard the same thing — if I didn't get this procedure on my son, he was not going to be able to do everything from speak properly to sleep properly to eat ice cream," Chakrabarti said. "And the first question I had is, 'How come I've never heard of this? If it could cause so many potential serious medical issues down the line?' It is literally something no one — before my son was born or definitely while I was in the hospital — ever talked to me about." A quick Google search shows tongue tie discussion everywhere from parent support groups on Facebook to WebMD. And this, given the lack of proper clinical evidence surrounding diagnoses, is what's so alarming, according to Cautero. "It was also being billed as this blanket cure-all for a baby that cries too much, a baby that won't take a bottle, a baby that won't take a pacifier or a baby that maybe isn't gaining weight," she said. "And I don't want it to come off that I disagree with the [tongue tie procedure] being appropriate in some regards, because I absolutely think it is. But I think it's kind of being blamed for a lot of issues that it may not cause." So, what does the medical research say? And how are lactation consultants going about their advising given what we know? Robin Kaplan, international board-certified lactation consultant and owner of the San Diego Breastfeeding Center, said that while she can ultimately only evaluate and refer folks to practitioners, the assessments are more than just a swab of the mouth. "We're actually doing a full assessment. It's unfortunate when parents aren't actually walked through that assessment to see what we're noticing," she said. "And that's something that we try to do just because it can be very scary when you're sitting across the room, this person that you don't know puts their hands inside your baby's mouth and then all of the sudden comes out with this assessment that, 'We figured out why you're having breastfeeding woes.' And so it's helpful to walk through, because there's actually 13 steps in the assessment that we use and then that's only part of it. We're also watching what the baby's doing at the breast. What is their latch like? What do their swallows look like? How much are they fatiguing? Are they coughing? Are they slipping off things like that?" Dr. Jonathan Walsh, pediatric ENT at Johns Hopkins who published a study on the influence of tongue tie on breastfeeding in the Journal of the American Medical Association, says there's still actually no general consensus about the procedure. "I think we have many in the sort of believer/non-believer camps, which I think confuses the issue. Our diagnostic criteria is not clear cut. It is not as easy as just looking at a child from across the room and having them lift their tongue up. There needs to be some anatomical assessment, as well as function. And so that says we broaden the definition of what symptomatic tongue type is. We've included not just where it attaches or how it attaches, but how does it restrict function? And because of that you have a lot of confusion among providers of not trusting what they see and maybe saying, 'Well, it looks normal, but maybe it's still restricted.' You have a lot of confusion, and so the mothers and parents are getting that confusion." We at On Point heard from multiple listeners whose children had the procedure, called a "frenotomy," and feel it improved the breastfeeding experience. "In my experience, having my daughter's tongue tie snipped changed everything for us in a positive way," Meg, from Providence, Rhode Island, said. "It’s a very simple procedure and our baby didn’t even cry. Highly recommend. Breastfeeding has been a dream for us since." "My infant daughter (my second child) had severe ties, and she was rushed to the [Boston] Children's Hospital at three weeks old after passing out due to dehydration and malnutrition," Katie, from Milton, Massachusetts, told us. "She had lost a full pound since birth. I asked for the lactation nurse at Beth Israel Deaconess Medical Center to check her latch and for ties the day after she was born but after their cursory check, they said she was fine. "When we were in the ER, I asked again, and nobody diagnosed it there either — it looked like she was latching fine when I nursed her. Finally, I saw a lactation consultant at South Shore Hospital and she diagnosed it right away. She couldn't move the milk from my breast because of the ties. After a month of my frantic work to get the ties dealt with ... I successfully re-trained her and she breastfed for two years."